For my 20th birthday, my University friends got me tickets to see Aladdin the Musical in London. I went to see yesterday afternoon's matinée with my boyfriend and it was absolutely incredible! 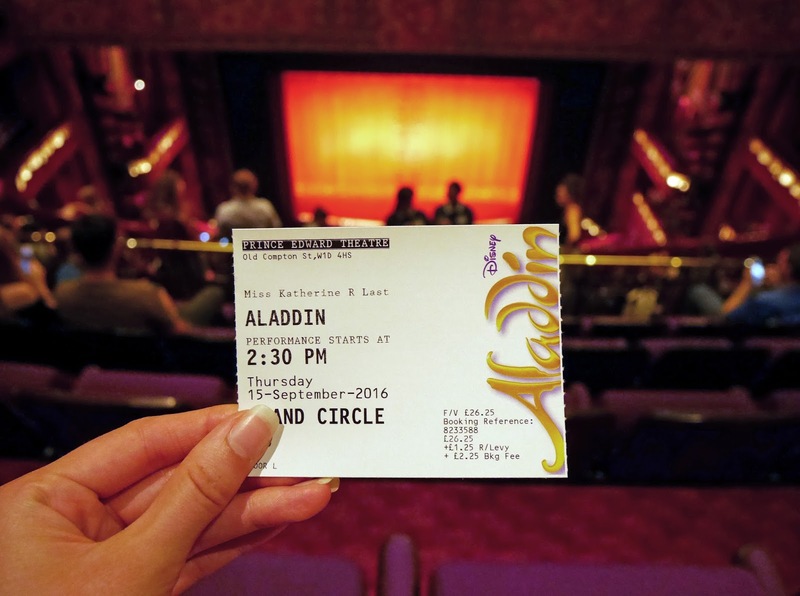 I thought I'd write a little post today about my Aladdin experience. 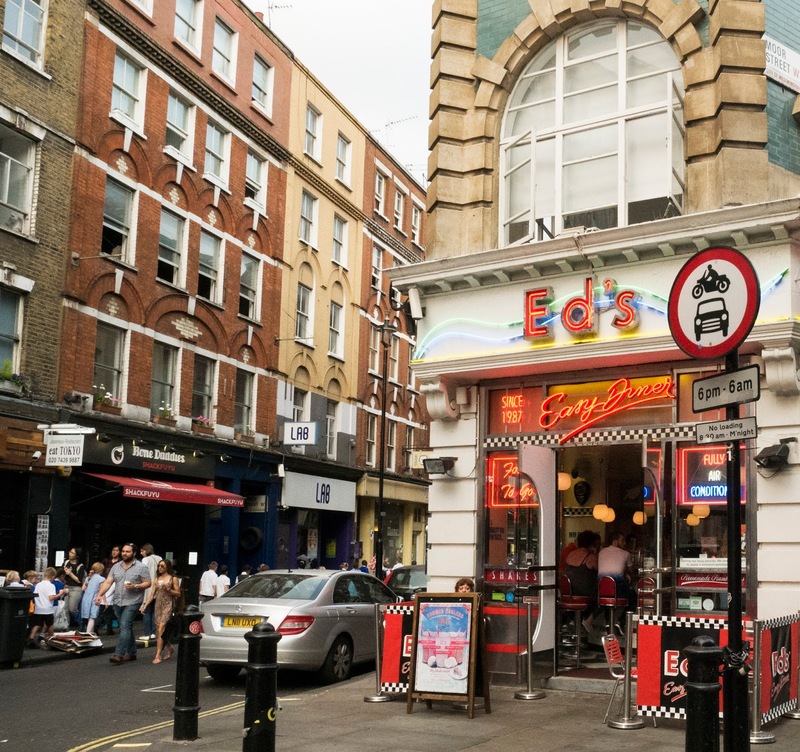 As soon as we'd arrived in London, we had lunch at the Ed's Diner right next to the theatre. It's a tiny Ed's, but the dining experience is different to any other I've been to - you get to eat on stools at the bar. It definitely had the US drive-in diner vibe! It's location is amazing; you can have dinner right next to the theatre. After a little stroll around Chinatown and Leicester Square, we headed to the theatre. The matinée started at 2:30pm, so we wanted to be in our seats about 20-30 minutes beforehand. As soon as I walked in, I noticed the purple and glitter. Aladdin really sticks to this colour theme throughout the theatre! We had seats in the Grand Circle for the show, which were high up, but you still got a really good view. 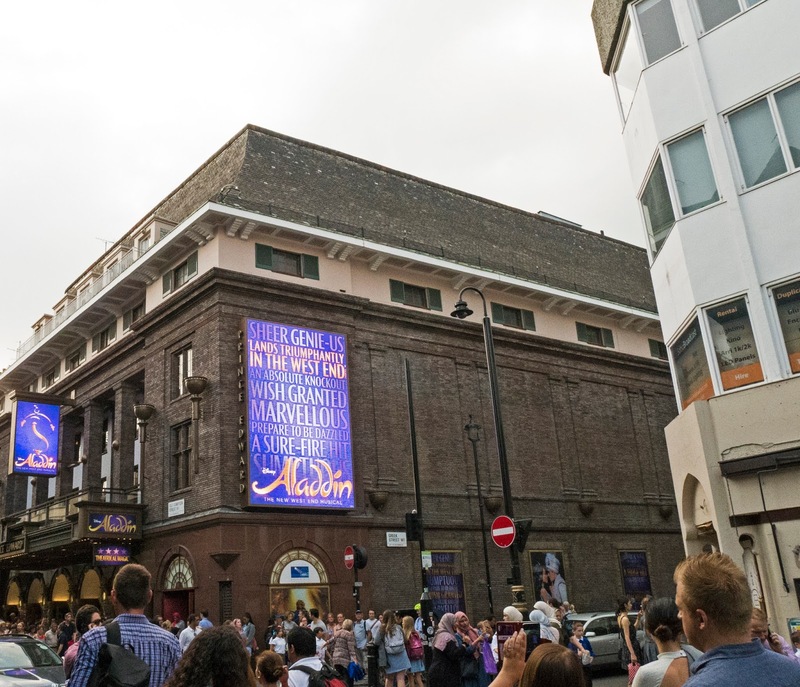 One of the best things about the West End is the sound - no matter where you're sat in a West End theatre, you get to hear everybody's voices. Throughout the show I was amazed at how incredible the singing and orchestra sounded! The show lasted for 2 and a half hours including an interval, and I must have cried about 4 times during the performance. The acting and singing was so good, that it was just an emotional rollercoaster. I realise 4 times is a bit much haha, but they were all happy cries I promise! 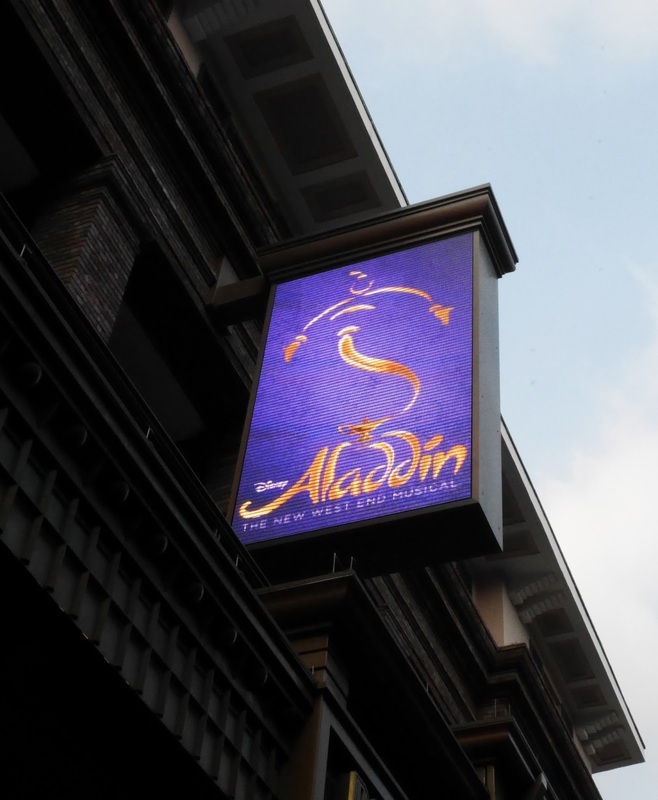 Aladdin was the best thing I've seen in the West End for a very long time. It has that real Disney magic and sparkle; I'm so grateful I got to see it! It's not a cheap show to go and see, but it's amazing and totally worth the high price! Thank you so much for reading my blog today. Sounds like you had an amazing birthday! Haven't yet seen Aladdin, but I'd love to! Oh bless, that's it, if you cried, I'd defo cry! Thanks for sharing! Oh what a lovely gift to get! So nice your could make a day of it too. I've been dying to see this since it was announced, especially as the leading man is from my neck of the woods. However it isn't just the tickets but a whole trip to London which costs a couple hundred for us from here! :( Really hoping they tour it soon, as we got to see Mary Poppins in Edinburgh in April last year which was fab. We did get to see Lion King down at the Lyceum though which I'm thankful for. It was so kind of my friends to get me tickets! Ah really? That's so cool! That's totally understandable, I can imagine it'd be an expensive trip. I'm sure they'll tour soon!